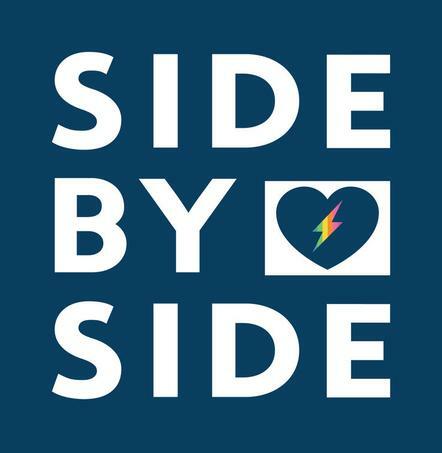 On March 5th, Side by Side–a Richmond-based non-profit that is dedicated to creating supportive communities where Virginia’s Lesbian, Gay, Bisexual, Transgender, and Questioning youth can define themselves, belong, and flourish–partnered with the ACLU of Virginia, Equality Virginia, and Nationz Foundation for a town hall discussion on supporting transgender youth. 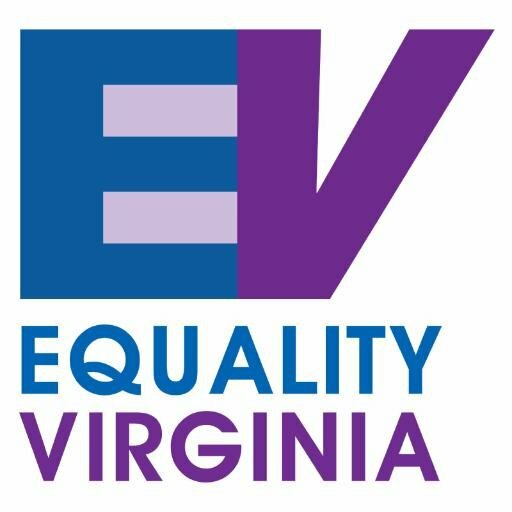 Many in our community had questions regarding the Trump Administration’s decision to rescind guidelines regarding protections for transgender youth in public schools. The town hall was an opportunity to learn information on what the law says and how members of our community can support transgender youth in our schools today! Join WRIR Friday, Oct. 26th at 9pm at the Camel. 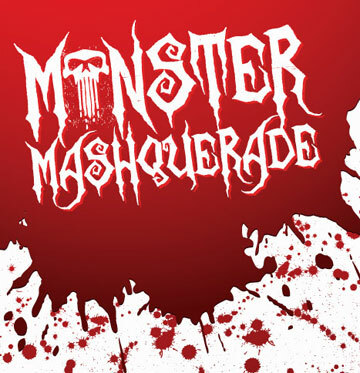 For this year's Monster Mashquerade you are in for a spooky treat! Live performances by The Eurotics, Goldrush and a Red Hot Lava Men reunion show! 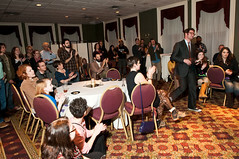 In house DJs are none other than WRIR's own Michael Miracle of The Lotus Land Show and Melissa, host of Mercury Falls. This event has been kicking off Halloweek in Richmond for the past 4 years so come and start the best holiday of the year the right way, with WRIR and The Camel!! $5-$10 donation to WRIR gets you in the door for all the Halloween fun! Bring your WRIR Very Independent Person card and get in FREE!! As always, prizes will be given for best costume and best mask. Join WRIR on Sunday, September 30th from Noon to 1:30pm at the Lewis Ginter Recreation Center Auditorium for a talk with Amy Goodman, host of Democracy Now! She will be speaking from noon until 1pm and then signing copies of her new book co-written with Denis Moynihan, The Silenced Majority: Stories of Uprisings, Occupations, Resistance, and Hope. Admission is a $10 donation at the door, $8 in advance. Tickets will be available for pre-sale on select dates and times at the station during the WRIR Fund Drive and online via www.brownpapertickets.com. Starting with the major party conventions and running up to Election Day, Democracy Now! is on a 2-month, 100-city open-to-the-public tour. The organization will travel through many swing states to discuss the multi-faceted components of the 2012 election season. These discussions will look at how people are organizing, the impacts of restrictive voter ID laws and how the Citizens United decision is changing how our democracy works, all while raising essential funds for public community television and radio stations across the country. 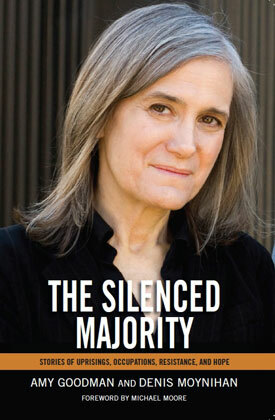 Amy Goodman and Denis Moynihan share stories that empower everyday people to confront corporate and government power in The Silenced Majority. They examine what is influencing our society today by giving an account of events, conflicts, and social movements. Amy Goodman, host of Democracy Now!, is an award-winning investigative journalist, syndicated columnist, and author. She has authored four New York Times bestsellers, including her latest, Breaking the Sound Barrier. Denis Moynihan helped co-found Democracy Now! in 2002 and is the founder of a new noncommercial, community radio station in Colorado’s high country. Democracy Now! currently airs on more than 1,000 public television and radio stations in 35 countries. For more information about Amy Goodman and Democracy Now!, please visit democracynow.org. The Amy Goodman 2012 Election and Community Media Tour is made possible by national public TV/radio news hour Democracy Now! with local sponsorship for the stop in Richmond, VA by WRIR LP 97.3 FM – Richmond Independent Radio and co-sponsor regional magazine North of the James. The Silenced Majority: Stories of Uprisings, Occupations, Resistance, and Hope will be available for sale at the event. On Saturday, July 14th, come to Gallery 5 for WRIR and The Commonwealth of Notions Presents: Volume Two. This all-day showcase will feature great local bands and allow you to show your support for both WRIR and Gallery 5. Doors open at 4pm and the first band will start at 5pm. Thanks you to everyone who attended our 7th Birthday Party on February 3rd. The great performers and the record breaking crowd made this a night to remember. On behalf of all of the volunteers at WRIR, thank you for keeping the Community in Community Radio! Having difficulty viewing these images? Click here to view them full size. Join WRIR at 7pm this Friday, February 3rd at the glorious Renaissance Ballroom! There will be 3 rooms of entertainment, DJs, comedy, spoken word and more. A $10 Donation at the door benefits WRIR and includes access to all entertainment, hors d'oeuvres and birthday cake! Come to Broad Street for First Fridays and help us celebrate 7 years of Richmond Independent Radio. Click here for the Facebook page and invite your friends! The party will be from 7pm to Midnight at The Richmond Renaissance Ballroom, 107 West Broad Street. 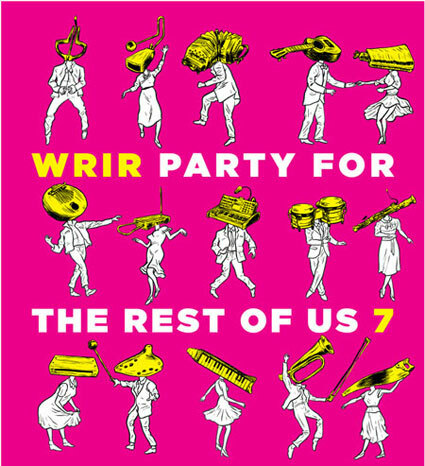 Show your support for WRIR and help kick off the Fund Drive with 5 live bands! Cover is a $5 donation to WRIR. You can also make your pledge and pick up a copy of Live at WRIR Volume 1 at the show. Food, live music, friends and neighbors visting. It may seem like we're just throwing a big party for our fund drive. However, our fund drives are serious fun. Listener donations provide the vast majority of funding for the station. 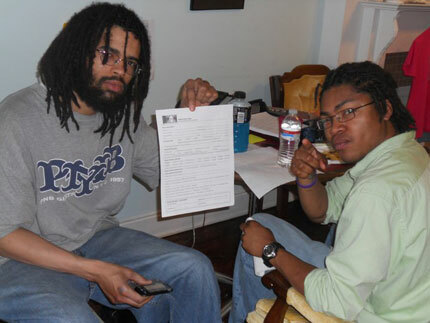 They give us the money to provide great programming as well as funding day to day expenses like rent and utilities. Listener support is essential for WRIR in the most literal sense. So please either call 804-822-9747, visit us at 1621 West Broad Street or donate online. Cause and Effect will feature Alex DiMattesa of Grave Mistake records (as well as Government Warning, Wasted Time) and his playlist of influences and favorites. Paul's Boutique will have a live performance by Ben Shepherd. 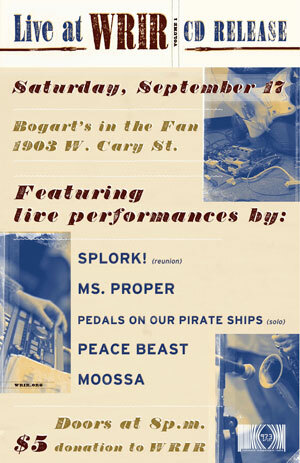 This Modern Beat will have a live performance by rapper Islam. Thursday will feature Mexican food from Cafe Ole and upscale comfort food from Lu Lu's. For the past few fund drives, WRIR has worked alongside local non-profits to help promote their work. This year, we're pleased to support Art 180. 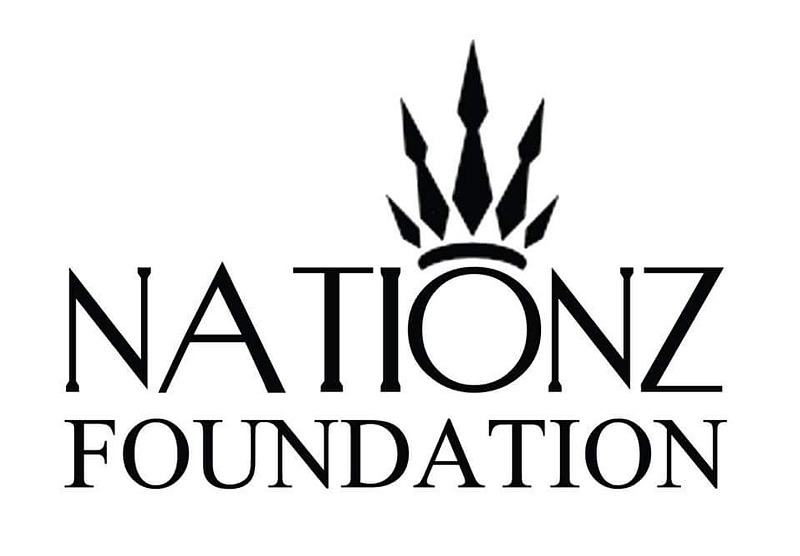 A portion of donations of $200 or more will go to support this great Richmond organization. ART 180 gives young people in challenging circumstances the chance to express themselves through art, and to share their stories with others. Through after-school programs in schools and community centers, young people discover ways they can positively engage in and influence their surroundings.Now in it's 13th year, the Richmond-based, grassroots organization believes in the potential of our children and the power of art to create personal and community change. Visit art180.org to learn more. Michael Miracle will be hosting young artists from Art 180 during The Lotus Land Show today from 5-7pm. Join Central Virginia Legal Aid Radio at 12:30pm for a special program on "The Legacy of John Adams: Defending the Unpopular from the Boston Massacre to Guantanamo Terror Suspects". The first $100 donor during Central Virginia Legal Aid Radio will get a free portrait of John Adams. Between 7 and 9pm, Activate will have a live performance by The Atkinsons. For more details on today's happenings, click on "read more"
Volunteers and visitors will be enjoying delicious food from Christopher's Runaway Gourmay and Avenue 805. (and yesterday's fare from Buzz and Ned's and 8 1/2 was pretty awesome as well). BTW, this was the second day 8 1/2 provided dinner to the station. 5-7pm The highest donor during Lotus Land will get a CD Super Stash including a CD by pavement. For our complete list of thank you gifts, follow this link. 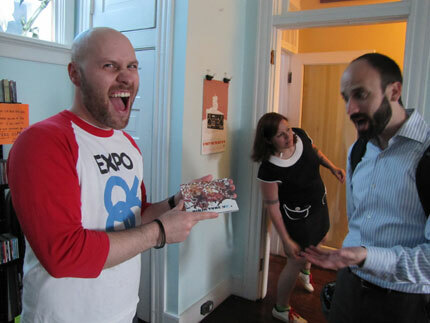 Not everyone gets this excited about donating to the station, but our t-shirts and other premiums do get peopled fired up. We also have special giveaways during selected shows as well as live music. Click Read More for today's details. The first donation above $100 for the shows below will get a special bundle of 3 CD along with their regular premiums. Donors must either pay by credit card over the phone or in person before the end of the show to be eligible for the CD Stash. For detailed terms and conditions, click here. 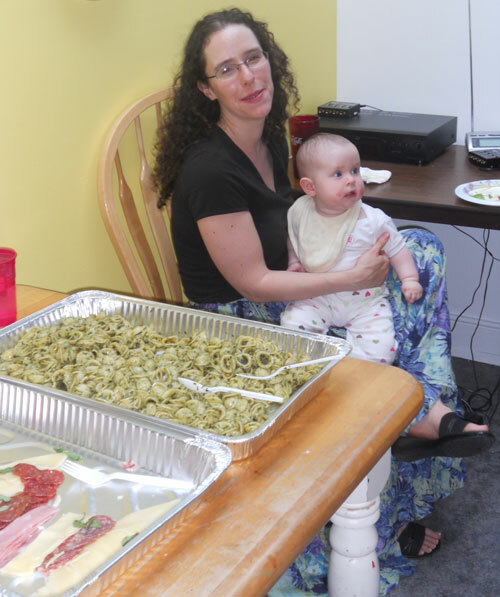 Volunteers and visitors to the station will enjoy food from A Moveable Feast and Avalon.